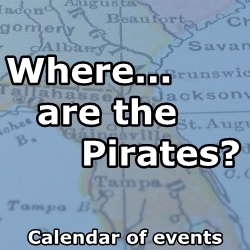 Be a Pirate on Tybee | Fernandina Pirates Club, Inc. This year is the 14th Annual Tybee Island Pirate Fest October 4-7th, 2018! Gather your Krew of Marauding Buccaneers, bring your family and friends dressed in thee finest pirate attire, or shop for some in the Thieves’ Market. May no pirate ever go hungry on the likes of Tybee Island! This small island features some of the best cuisine in the Savannah area. From classic Georgia southern cookin’, to fresh from the boat seafood, to daiquiris and ale, Tybee Island has something for every pirate taste. 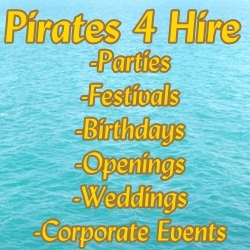 Tybee Island, Georgia, has accommodations to suit almost every pirate, be ye Captain or Cabin Boy. You’ll find wonderful oceanfront hotels, charming inns, bed and breakfasts, convenient motels, and rental properties. 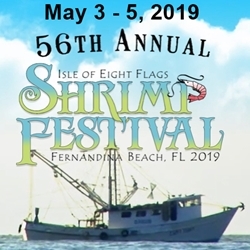 Or, camp out or bring your RV and stay at the Tybee Island-owned campground and RV park, located just minutes from the beach. Come one, come all, to the 2018 Buccaneer Ball! Join us for an evening of dancing, frivolity, and food! The Crab Shack hosts the kickoff to the 14th annual Tybee Island Pirate Fest, a weekend full of swashbuckling fun for all! The Buccaneer Ball boasts grub and grog like only The Crab Shack can provide, and of course, a bounty of pirates and wenches! The Buccaneer Ball will be hosted by Dungeon Dan BlackHart, Kruel Kathy BlackHart and the lovely Lady Lindsey Lee! EARLY BIRD SPECIAL! Tickets are $40 per person until September 1st. Tickets are $45 per person from September 2nd- October 1st. Tickets are $50 October 2nd – 3rd. Online ticket sales end at 11:59pm on October 3rd. Tickets at the door on October 4th will be $50, if available. 3 – 5pm – Parade – This parade is a must for families! Parade participants will pass out treasure along the route. Escape the Ordinary… If only for a Weekend!